With a unique essence, this purse bag is definitely screaming out its aristocrat detailing. The purse comes in a rectangular shape in small size with Read More..semi-circular tiny handle to carry it around. 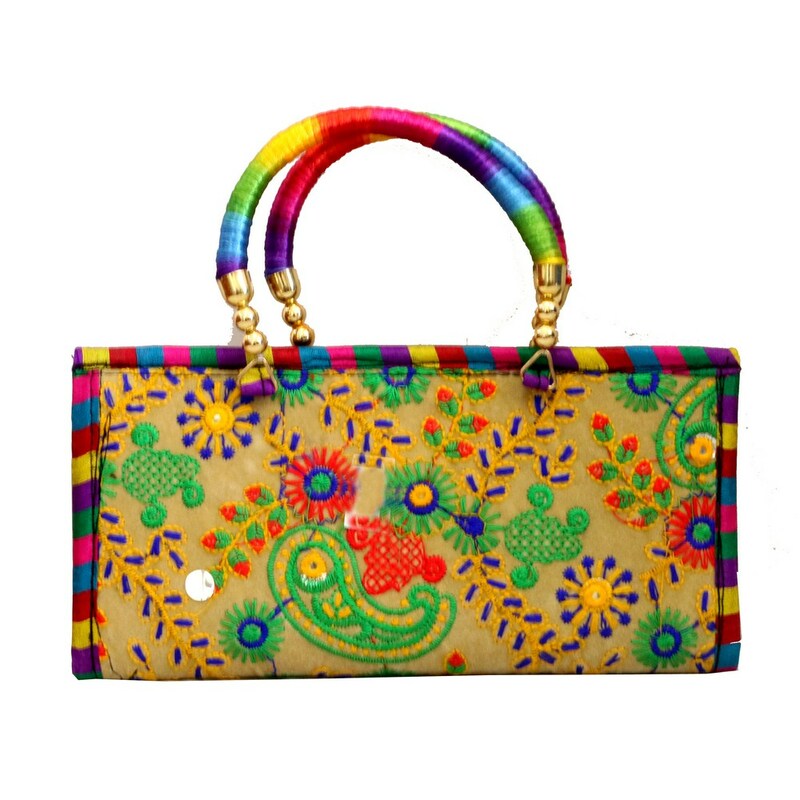 It is engraved with multicolor embroidery designs with neat mirror work. This can absolutely make a brilliant gift for ladies on all occasions. Show Less..